Marketing trends are constantly changing. As soon as you think you have it all down, something new comes along to learn and apply to your small businesses marketing plan. 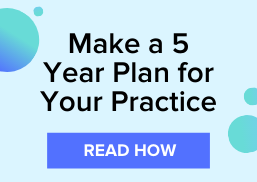 As an OD, practice owner, or both it can be hard to find the time to devote to marketing, so we want to help you out by giving you 5 marketing strategies that your eyecare practice maybe hasn't tried yet. Each of these ideas are affordable and quick to throw into your practice's strategy. Let's take a look. Email marketing is an affordable and easy way to stay front of mind with your patient base. But in order to be successful at email marketing, you need to first start by building your email list. Building your list will give you the opportunity to promote sales and discounts on eyewear, trunk show events, new office hours, and healthy eye tips to your patients. There are several affordable (and free) options for email software. Solutions like MailChimp make it easy to send emails from pre-designed templates so that your messages have a clear and professional look. You'll be able to pre-schedule emails, manage your email list, and track performance of your marketing campaigns. If your office is located in a building with other offices, or in an area with heavy foot traffic, sidewalk signs can be a great way to catch the attention of new patients. Fancy artwork, typography, or witty sayings are just a few ways to capture people's attention with sidewalk signs. This is a cheap and easy idea to implement in hopes of generating a few extra walk-ins each week. A quick search online or on Pinterest will help you come up with plenty of ideas for your first sidewalk sign. Utilizing patient recall messaging can be a great way to build strong online reviews that will help boost your practice's SEO performance. Boosting your SEO helps your website show up ahead of your competition when potential patients are searching for local optometrists. Automated messages after appointments make it easy for patients to write a quick review of your practice on Google, Yelp, or Facebook. 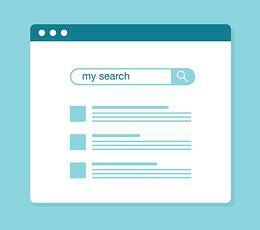 And, building a strong presence of reviews will help boost your SEO rankings. Being an active member of your community if a great way to build trust and referrals for your business. A local Lions Club, Chamber of Commerce, or Young Professionals Organization are all great options for building your professional network and staying involved in your community. This idea might be a bit out there, but if you are an active member of your community or if you volunteer at local events or support local sports teams, a business mascot could be the perfect thing to build strong brand awareness when serving in the community. Having a mascot for your business creates strong recognition and spreads the word quickly at events. Kids will likely want to take pictures with the mascots that will be shared on social media. If you're looking for more business ideas to grow your eyecare practice, download our latest eBook, OD Handbook: Small Business, Big Profits.